The Fiat 500X Lounge and Trekking Pus models come with Chrysler's award-winning Uconnect 6.5 system that combines communication, entertainment and navigation features into one easy to use interface. 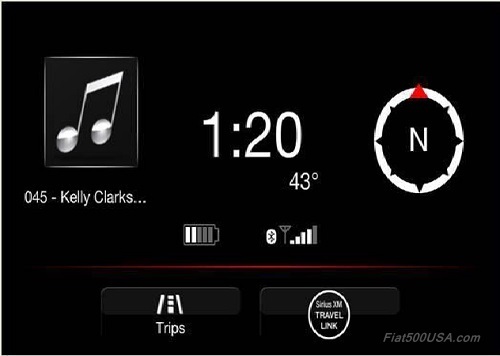 Owners of very early production 500X vehicles may notice that the Sirius XM Travel Link* button is not displayed on their radio, If that is the case, Fiat has a software update that will fix the issue. 0607XX) equipped with Uconnect 6.5” VP4 (sales code RA4) radio. 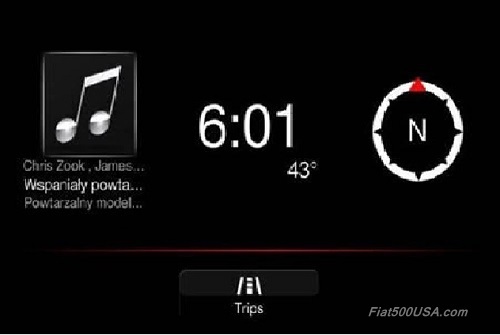 Fiat Technical Service Bulletin (Fiat TSB) 08-059-15 REV.A titled "Travel Link Button Not Displayed On The Radio Screen" describes the problem and the fix. The image above shows what you should see when you press the App button. Notice the Travel Link icon in the lower right of the display. Contact your Fiat Studio for more information. The software update should take less than a half hour to perform. This bulletin involves upgrading the software on the RA4 Radio. Fiat 500X owners may notice that the Sirius XM® travel link button is not displayed on the radio. This is provided for informational purposes only. You should always contact your dealer for up to date information and to answer any questions. The dealer will be able to tell you if this TSB is applicable to your car. Blue&Me is the fully integrated in-vehicle infotainment system that is standard on all Fiat 500 models sold in the US and used worldwide on many other Fiat Chrysler Automobiles. It allows users to make hands-free telephone calls and control music and other functions using voice commands. 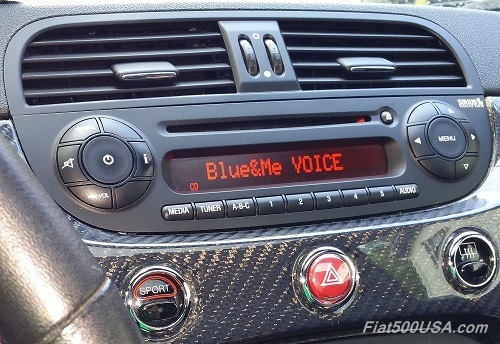 It is a neat and convenient feature that adds to the enjoyment of owning a Fiat 500. Some owners of 2015 Fiat 500 models may have experienced an anomaly where some functions don't operate as intended after the ignition key is cycled. If that is the case, there is a revised Technical Service Bulletin out (Fiat TSB 08-103-14 REV. A) that may help those who haven't brought their car to the dealer yet. It involves updating the Convergence Telematics Module (CTM). This TSB applies to cars listed below with CTM software id listed as G583. It will reflash the CTM to software id G755. Press the Main/Phone button on the left side of the steering wheel. Scroll through the main menu using the left switch on the back of the steering wheel and select “Settings”. Select “Advanced Options” and then “Image ID”. On the cluster under application id, if “G583” displayed you probably need the CTM updated and should contact your dealer. If it is different, this TSB doesn't apply. If it is "G755" this update was already done. This bulletin involves updating the Convergence Telematics Module (CTM) software. You may notice the Blue and Me steering wheel controls and USB functionality may not operate properly after the ignition is cycled. *This is provided for informational purposes only. You should always contact your dealer for up to date information and to answer any questions. The dealer will be able to tell you if this TSB is applicable to your car. 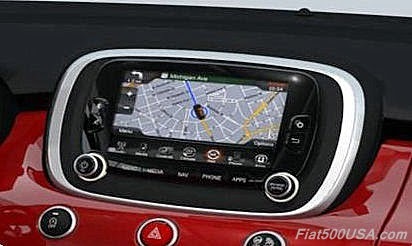 The first image of the 2016 Fiat 500 Abarth dashboard shows Uconnect 5.0 has replaced the TomTom add-on unit used in previous years. The Uconnect system integrates stereo and navigation functions under one screen and is a nice update over the older system. Center dashboard vents are now lower, and along with redesigned outboard air vents should offer enhanced airflow. We'll have more on the new 2016 Fiat 500 on September 1st! Wondering what oils, coolant or fuel to use in your Fiat 500X? Here is the list of recommended fluids including capacities to use in the 2016 Fiat 500X. MOPAR Antifreeze/Coolant 10 Year/150,000 Mile Formula OAT (Organic Additive Technology) or equivalent meeting the requirements of Material Standard MS.90032. MOPAR Antifreeze/Coolant 10 Year/150,000 Mile Formula OAT (Organic Additive Technology) or equivalent meeting the requirements of Material Standard MS.90032..
SAE 5W-40 API Certified Synthetic Engine Oil, meeting the requirements of Material Standard MS-12991 such as MOPAR, Pennzoil, and Shell Helix. Refer to your engine oil filler cap for correct SAE grade. 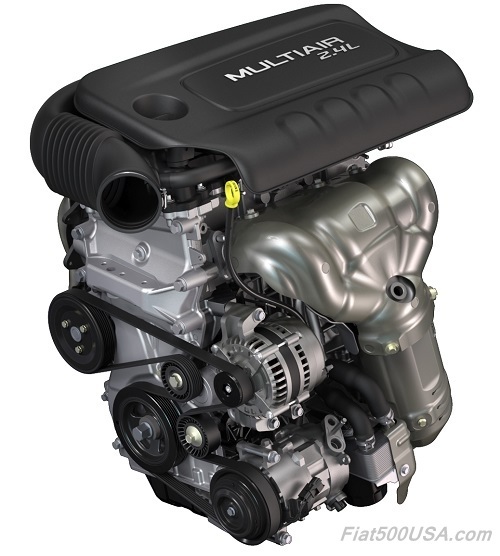 SAE 0W-20 API Certified Engine Oil, meeting the requirements of Material Standard MS-6395 such as MOPAR, Pennzoil, and Shell Helix. Refer to your engine oil filler cap for correct SAE grade. * Includes heater and coolant recovery bottle filled to MAX level. Nominal refill capacities are shown. A variation may be observed from vehicle to vehicle due to manufacturing tolerance and refill procedure. Use only MOPAR ZF 8&9 Speed ATF Automatic Transmission Fluid, 9.55550-AV5 or equivalent. 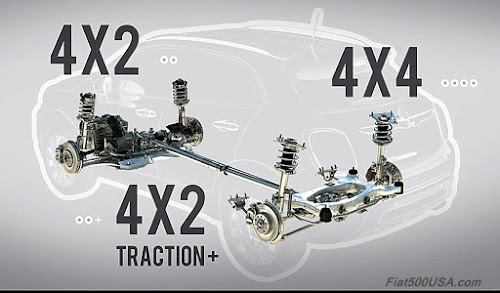 Note failure to use the correct fluid may affect the function or performance of your transmission. Use MOPAR C Series Manual & Dual Dry Clutch Transmission Fluid. MOPAR DOT 4. If DOT 4 brake fluid is not available, then DOT 3 is acceptable. 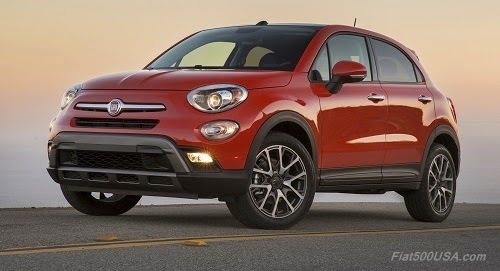 Overall sales of the Fiat brand for July showed a modest 3 percent increase over June, helped by the arrival of the new 500X crossover at dealerships across the nation. This may indicate that Fiat has turned the corner on its sales performance compared to last year. So far this year Fiat sales have had a hard time keeping up with the record pace set in 2014. Overall Fiat brand sales this year are down 13 % compared to last year. Sales for July were down 15 % compared to the same month last year. However, this is a huge improvement over June's 30 % drop. This was due to the Fiat 500X finally being available in somewhat sufficient numbers at Fiat Studios. The Fiat 500X recorded a 197 % increase in sales over the previous month - 962 units sold in July compared to 324 in June. This helped offset weaker sales of the 500L last month. Dealers report that sales of the Fiat 500X have been brisk and are expected to grow as Fiat pumps more cars into the supply chain this month. The 500X comes in a staggering array of variations - front or all wheel drive, 12 colors, 5 trim levels and numerous option packages - and Fiat has ramped up production to ensure the availability of all models. Looking at other models, 1,959 Fiat 500 hatch and Cabrio models were sold in July, down 17% compared to the same month last year. 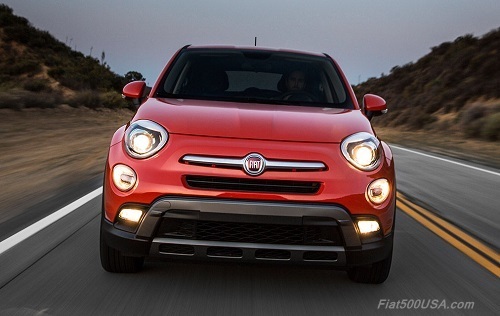 The Fiat 500L really took it on the chin this month. Fiat sold 314 500L MPVs last month, down 78% compared to July 2014. 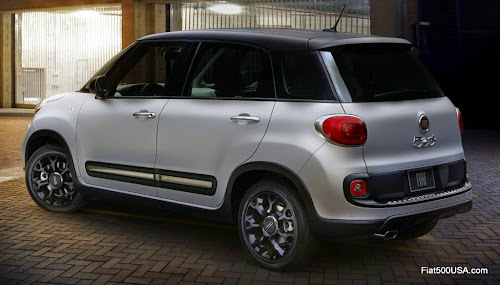 A best seller in its segment in Europe, the Fiat 500L has yet to reach its full potential here in the States. New updates for the 2015 model year, which include revised seats, enhanced ride calibrations for US rough roads, and new automatic transmission, address feedback given by potential buyers as to why they didn't buy. However, the lack of availability of 2015 models may be impacting sales. For example, using Fiat USA's website search feature and using a New York Zip Code with the 200+ mile search parameter, we see that there are over 7,000 Fiat 500 hatchbacks, and 5000 500X crossovers listed as available at dealerships but only 1,600 500L models available. The arrival of the 500X and the natural shift in emphasis to that car can also be a contributing factor. July is always a big news month for Fiat. Fiat marked its 116th anniversary on July 11th this year. Few car companies have a history as rich and a brand portfolio as coveted as Fiat. 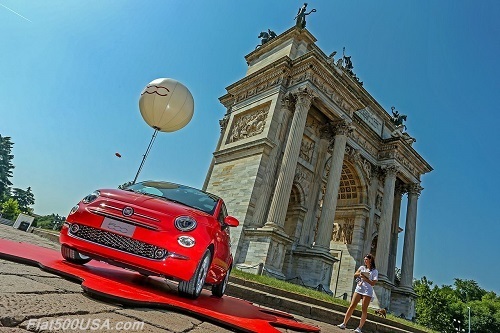 The Fiat 500 celebrated its 8th birthday in style with the unveiling of the 2016 European Fiat 500 in Milan. The refreshed 2016 model boasts numerous enhancements and subtle styling changes. The new design is being well received. In the US, the Fiat 500 has added more accolades to its already impressive list. The Fiat 500 was ranked number one in total quality in Strategic Vision's Total Quality Awards program. The award measures the overall ownership experience, and the Fiat 500 took top honors in its class. 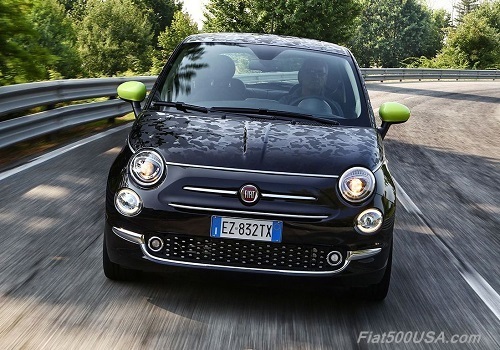 The Fiat 500 also ranked best in class in the JD Power's APEAL Awards. This award examines what owners like about their new vehicles after 90 days of ownership. 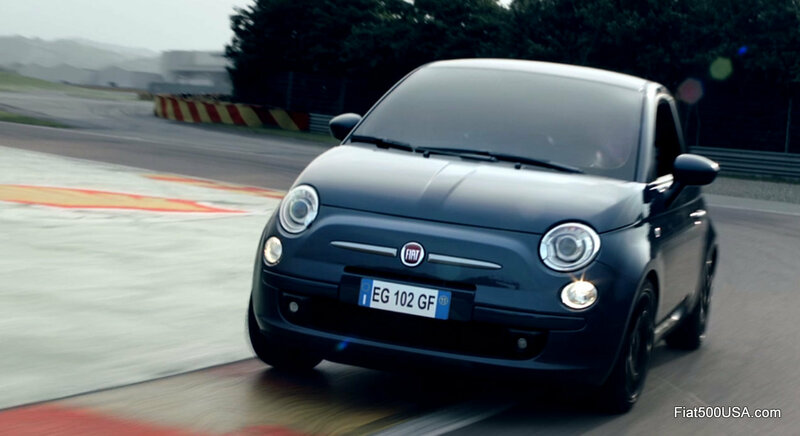 APEAL is based on evaluations of 77 attributes and the Fiat 500 was the only car to outperform the segment's average. The Fiat Club America celebrated their 32nd annual Fiat FreakOut National Convention in Pittsburgh, Pennsylvania. Fiat FreakOut is 4 days filled with fun activities and friendly Fiat owners and is something everyone should experience. Next year, the Fiat FreakOut will be held at the Fiat Chrysler Automobile headquarters in Auburn Hills, Michigan. Don't miss it! On the Road to the 2015 Fiat FreakOut!